Elite Parking wants to congratulate Jesivan Seijas Morao for receiving February’s employee of the month. 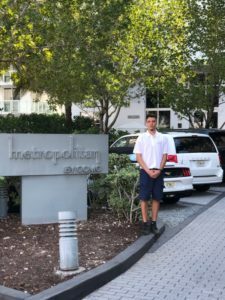 He started his career with Elite just two years ago and is currently a valet parking attendant at Marea Condominium, a luxury property located in South Beach’s south of fifth area. He brings many years of customer service experience to the position. 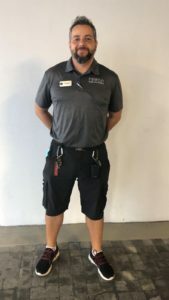 As a valet parking professional, he handles all areas including: managing traffic and parking control within the property; assisting guests in their parking needs; making sure to provide each guest with excellent service; maintaining vehicle counts and log sheets for the parking facility. Morao is a team leader when it comes to providing guests with “white glove service” and upholding the properties exceptional standards. Morao is a native of Venezuelan, but moved to Miami just over three years ago. He wants to continue to pursue his education towards earning a degree. Elite is excited to announce the recent additional of their newest property COMO Metropolitan. The boutique hotel is located in the heart of the city’s Art Deco district on 2445 Collins Avenue, close to Miami’s South Beach. It is within walking distance of Lincoln Road Shopping and entertainment district, the Bass Museum of Art, and the New World Center. Wynwood arts and dining district is just a 10 minute car ride away. “We are dedicated to not only providing “white glove service” to hotel guests, but those visiting the hotel’s restaurant. Elite incorporates its experience with event parking logistics to make sure guest’s visits are seamless from the parking process to exiting the property,” said Elite’s Managing Partner Ruben Perez-Sanchez. The hotel recently announced its newest dining destination, which is in collaboration with the award-winning chef, Michael Schwartz. Traymore by Michael Schwartz combines Schwartz’ passion for fresh, clean Floridian flavors and bright, Southeast Asian influences. Famous guests frequent the new restaurant hot spot. Elite Parking was famous chef Michael Schwartz original valet parking company when he opened the flagship restaurant Michael’s Genuine in the heart of the Miami Design District before the district’s beginning in 2007. Now Elite is once again representing him as the valet parking service COMO Hotel’s Traymore starting March 13, 2019.